Your Own Website - Build traffic and passive income with SBI! Ever wanted to build your own website? It's easier than you think, so keep reading! If you're like most people, the thought of building your own website, or paying someone hundreds or thousands of dollars to build one for you isn't very appealing. 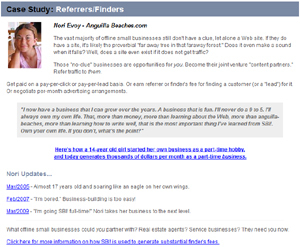 Or maybe you already have a website for your blog or your business, but it gets little or no traffic. Millions of website owners (me included) have struggled with these problems for years. Until now. My site now ranks in the top 1% of all websites! I'm happy to inform you that I finally found a solution that works for me, and can work for you too! The solution is a program called Site Build It! (or SBI). Although I already had a little experience with web design, it is absolutely not necessary to get started building your own website. Many people who build successful sites with SBI start out only knowing how to surf the web and send e-mail. If you can do those 2 things, you'll be fine. Everyone has something they're passionate about, or at the very least, something they're interested in. Why not turn your passion, knowledge and experience into a profitable home-based business? I had never heard of SBI until early in 2009. I can't remember exactly how I came across it, but I am extremely grateful that I did! 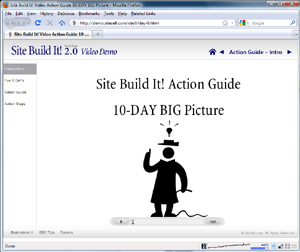 I do remember watching the Video Tour and being impressed with the amazing suite of tools and case studies of others who have built profitable websites using the program. But what really convinced me that SBI would work for me (and also gave me the idea of what my site should be about) was reading Nori Evoy's case study. Nori began building her site about the Caribbean island of Anguilla when she was just 14 years old! All of a sudden it hit me: if a 14 year old girl with no experience creating websites could build a highly-trafficked, profitable website about a destination that she loves, then why couldn't I do the same? The light bulb finally went off, and the idea to build Newport-Discovery-Guide.com was born. Creating Newport-Discovery-Guide.com with SBI has enabled me to do both of these things, in a relatively short period of time. My site's traffic and popularity are rapidly increasing. 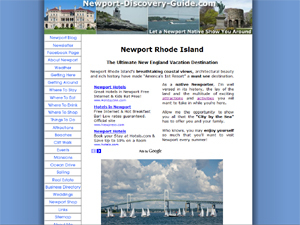 Newport-Discovery-Guide.com already ranks in the top 1% of all websites, and is on it's way to becoming the most popular of all sites about Newport. Although I'm not ready to quit my day job just yet, it's nice to wake up and discover that I earn money even while I'm sleeping from various forms of monetization I've set up on the site (Paying advertisers, Google AdSense, my Newport Shop, etc.). I've always fantasized about what it would be like to have a home-based business that allowed me to work when and how I want and actually make some money. Well, that fantasy is now a reality. My site's traffic and popularity are growing daily, my income is steadily increasing and I get to work on something that I actually enjoy! And I owe it all to SBI! Don't just take my word for it. Investigate the other programs out there. You should also research the company that makes SBI, Site Sell Inc. So what does SBI actually do? It's either too good to be true or it must be ridiculously expensive. Fortunately, I was wrong on both counts. So what will all of this cost me? Before buying, I encourage you to look around at other packages. I did, and found that nothing compares to SBI and the value they provide. But do your own research anyway. Don't just take my word for it. SBI doesn't just take your money to host your site and then wish you luck on getting traffic. They provide you an all-encompassing suite of tools that not only help you determine what your own website should be about, but they'll show you how to build it, promote it and monetize it! And don't forget, there is an unbelievable risk free trial and 110% money back guarantee. Yes you read that right. They'll give you back all of your money, plus an additional 10%. That's how confident the company is about the value they provide. So you can try SBI for awhile, and if you find that it's not right for you (which I doubt you will) then you can easily cancel for a full refund. This is a true risk-free trial. You've got nothing to lose, except a chance to build a profitable home-based business if you don't at least investigate SBI and give it a shot. Below you'll find a few of my favorite videos and a bunch of great links that'll give you more information about SBI and how they can help you build your own website. They'll even build your own website for you! 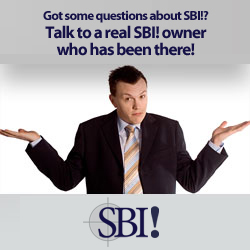 The links below will bring you directly to some of the most informational SBI pages. If you're interested in building your own website, these case studies and articles are a great place to start. I honestly think that Solo Build It is the best program out there to help people build their own web-based business. If I didn't, I wouldn't be promoting it on my site. So if you've ever thought about what it would be like to actually have your own website and business related to something you're passionate about (and maybe even earn some money from it! ), then give Solo Build It a try. If I can be of any assistance to you, or answer any of your questions, don't hesitate to contact me.